$749 Dealer Administrative Charge and any Vehicle Transfer Fees are included in advertised price. New vehicle pricing includes all offers and incentives. Tax, Title and Tags not included in vehicle prices shown and must be paid by the purchaser. While great effort is made to ensure the accuracy of the information on this site, errors do occur so please verify information with a customer service rep. This is easily done by calling us at 855-549-0202 or by visiting us at the dealership. Back-Up Camera Rear Spoiler, MP3 Player, Onboard Communications System, Steering Wheel Controls, Heated Mirrors, Electronic Stability Control, Bucket Seats. SIGNATURE LINE PACKAGE Wheels: 16 x 6.5 Loop Spoke Silver Alloy Style 494, Tires: 195/55 R16, Transmission: 6-Speed Automatic w/STEPTRONIC, White Turn-Signal Lights, Automatic Climate Control, All-Season Tires, Panoramic Moonroof, Piano Black Interior Surface, MINI Excitement Package, Comfort Access Keyless Entry. MINI Cooper with Chili Red exterior and Carbon Black Leatherette interior features a 3 Cylinder Engine with 134 HP at 4400 RPM*. Mall of Georgia MINI offers more than 200 new and 60 pre-owned vehicles on site with access to over 30,000 new and pre-owned vehicles at Hendrickcars.com. The 28,000-square-foot facility sits on 9.7 acres, hosts 17 service bays and provides numerous customer amenities including refreshments, a coffee bar, free Wi-Fi and complimentary shuttle service to the Mall of Georgia and other area attractions and local businesses. At Mall of Georgia MINI, we’re more than just your ordinary car dealership. We not only provide MINI sales and maintenance, but we also offer advice to help you decide on the perfect vehicle for your budget and lifestyle. Located in Buford, Georgia, we proudly serve the Atlanta area. If you’re in the market for a new or pre-owned MINI, as well as a selection of used cars, we’ve got you covered. Let us show you why we’re the best dealer in Georgia. 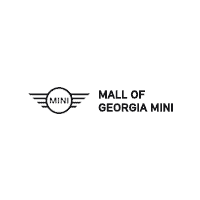 Mall of Georgia MINI	34.084970, -83.988380.